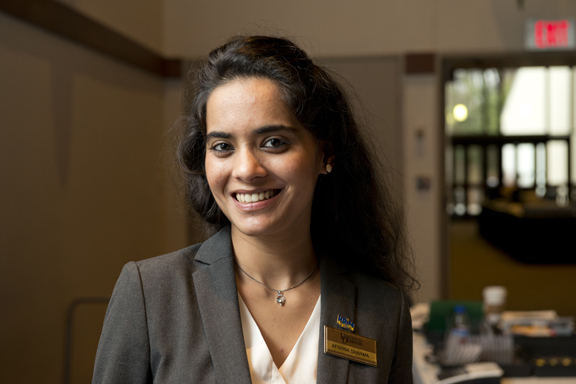 Aparna Sharma is a 2014 graduate of the University of Delaware with a master of science in hospitality business management. She now works in her hometown of Delhi, India at the company RateGain as the associate manager for product management. RateGain specializes in offering web-based solutions to various hospitality and travel companies. Sharma has lived in Philadelphia, San Francisco, and Newark, Del., but she recounts her time in Newark as being her most memorable. Sharma reflected fondly on her time at UD and said she feels as if it prepared her for her job at RateGain. She said that her education helped her become a better employee and that UD’s learning environment propelled her into success. On her work at RateGain, Sharma said she has been able to advance through positions and loves the work that she does with the company. Sharma said she looks forward in her career while still remembering how UD played such a positive and important part in her professional life.